Bonus materials: Deleted scenes; Commentary. DVD, dual layer; Region 1; Widescreen (1.78:1) presentation; Dolby Digital 2.0. Great submitted by Maria Maguire on August 10, 2011, 11:16am Great to see the start of the show, I'm pretty sure it had all six episodes from the first season. 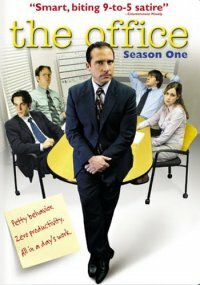 The Office submitted by SBNB on June 26, 2012, 7:11pm This show is one of the most boring that I have ever seen. It's not funny and it's not entertaining. Just boring. Very funny submitted by cbrewster on August 9, 2018, 2:54am This show makes me laugh so hard. It is about a small office led by a inappropriate boss who never wants to work and employees who try to do as little work as they can get away with. This season only has 6 episodes. Universal City, CA : Universal Studios Home Entertainment, c2005.